Noire's swimwear range is designed in a number of different prints and styles to suit each and every beach bod. If timeless style is your thing, then head to the beach exuding confidence with our naturally enhancing push-up bikini tops designed to give you a shape you love. For chic and sophisticated style, opt for black or one of our other block colours or to make a statement, strut your stuff in one of our signature snake style prints. Team with statement high waisted bottoms with our gorgeous lace-up effect for head-turning style or keep it simple and fuss-free down below with tie side colour block bottoms, the ultimate suitcase staple. 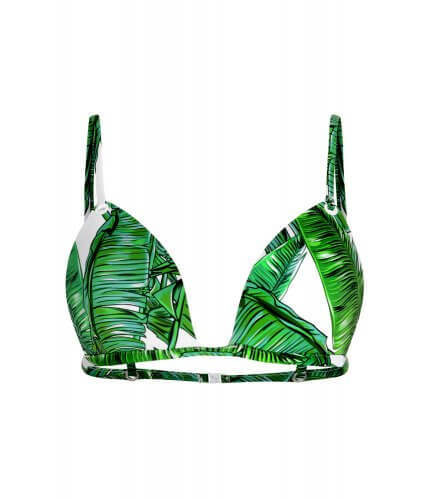 Noire's swimwear is crafted carefully out of exquisite, high-quality materials to create a stunning range full of investment pieces, so find yours today.